By keeping our finger on the pulse of technology, we continue to move forward with new innovations. Learn more about the different recognitions CI has received as a result. Cincinnati Incorporated is in the running for the 19th Annual 2018 Family and Private Business Award. The Goering Center's Family and Private Business Awards is a region-wide celebration designed to showcase the unique successes of Greater Cincinnati’s family and private businesses that have contributed to our economy and community growth, and that reflect best business practices. 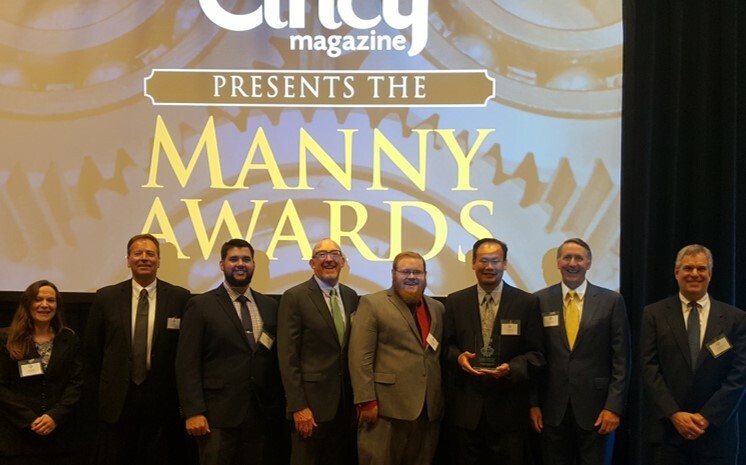 Carey Chen, president and CEO of Cincinnati Inc., is a 2018 Cincinnati Business Courier C-Suite Awards winner. Cincinnati Incorporated was selected by the Ohio Business Magazine as one of the Best Workplaces in Ohio. The awards recognize companies in nine different categories that are transforming technology and introducing innovative products and services to the Tri-State. Family and privately owned businesses account for more than half the nation’s total employment, new job creation and Gross Domestic Product. The Goering Center presents the Family and Private Business Awards to honor these enormous contributions. The C-Suite Awards recognizes Greater Cincinnati's top executives for their contribution and commitment to the community and their outstanding professional performance. The Cincinnati Business Courier named CI as a finalist for the Courier’s 2017 Innovation & Technology Awards. Added appreciation for recognizing CI as the overall winner of the Outstanding Advanced Engineering Innovation category for our development of BAAM (Big Area Additive Manufacturing). Cincinnati Incorporated has been pushing boundaries since they worked with Oak Ridge National Lab to create BAAM, the big area additive manufacturing system that printed a car a few years ago. Now, the big BAAM has a new little sister, SAAM, a small area additive manufacturing system that is the product of a partnership with Boston-based NVBOTS. Cincinnati Incorporated (CI), and development partners Oak Ridge National Laboratory (ORNL) and Dassault Systemes, were honored at the JEC Innovation Awards at JEC World 2016 in Paris, France for their composite innovations through Big Area Additive Manufacturing (BAAM). 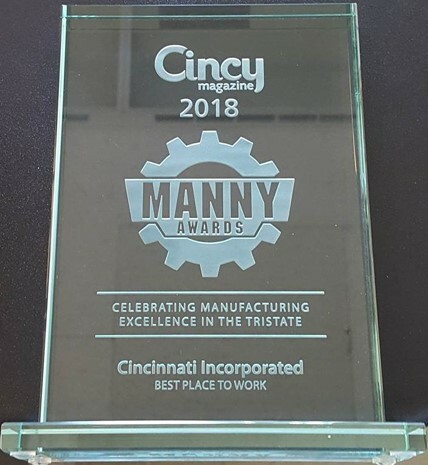 For Process/Prototyping we presented the Editor’s Choice Award to Cincinnati Incorporated and Oak Ridge National Laboratory for their Big Area Additive Manufacturing (BAAM-CI) technology. The technology is 10 times larger, 20 times cheaper and 200 times faster than similar polymer additive manufacturing technology and enables components of arbitrary geometry to be 3-D printed. "One of the 100 Most Technologically Significant New Products of the Year"